A quick hitter today recapping some of the best three Eagles Alumni performers of the week. 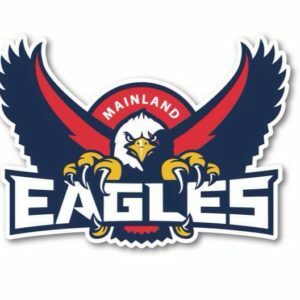 Check out the full Eagles express later in the week as well as some interviews with some Eagles Alumni working hard in college going into the business end of the season. Tessa had another great performance last week. 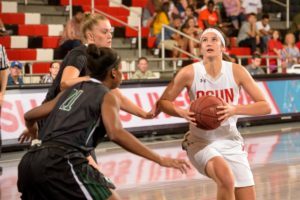 In Cal State Northridge’s tough loss against Long Beach State where they went down 51-59, Tessa had 19 points, 6 rebounds, 4 steals and 2 blocks. 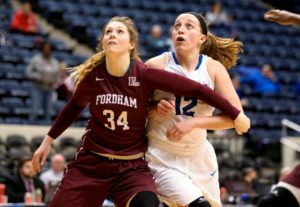 Mary and Fordham have continued their great form going into the business end of the season. 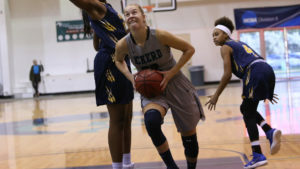 They had two great wins last week and currently sit at 19-6 on the season and 10-2 in conference play. Mary had two solid performances in the two wins also.